These beautiful ornaments, designed by Sheila Landry, would look great on any tree. 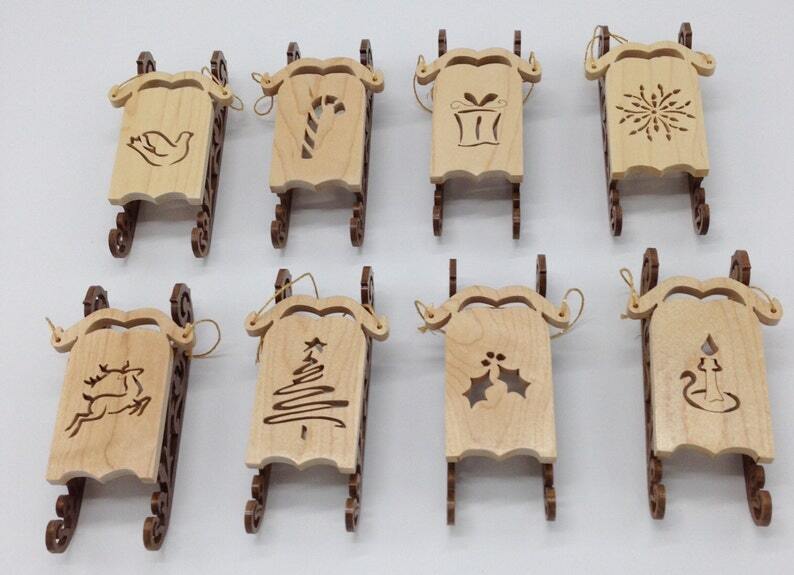 The sleds are ¼” maple and the runners are 1/8” walnut. Each set contains 8 ornaments, each with a different design: Dove, Candy Cane, Gift, Star, Reindeer, Christmas Tree, Holly, and Candle. Each ornament is 5 ¾” in length, 3” in width, and 1 ½” high. If you wish to purchase a smaller quantity of ornaments using the above designs (mix or match), please contact us for pricing.